The Z’s SU carbs returned from their visit to ZTherapy today, and I couldn’t be more pleased with them. They’re clean as a whistle, and the action of every shaft and linkage is buttery smooth. 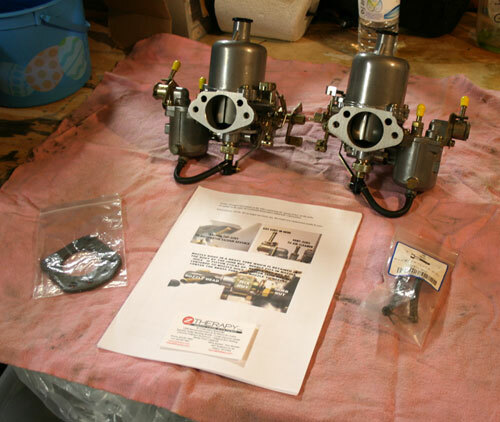 The founder of ZTherapy had rebuilt them in the late ’90s, fitting them with the company’s signature ball-bearing throttle shafts in an effort to cure tune-distorting vacuum leaks; however, the seals failed and the founder’s remanufacturing process removed too much material from the aluminum bodies of the carbs for them to be refitted with new bearings. ZTherapy’s current owner was forced to use new cores during this latest rebuild, and he cleaned them, replacing all gaskets and rubber in the process too. The icing on the cake was the presence of the mid-production-style knurled mixture adjustment knobs, shown above. Early Z SUs were fitted with knob without knurls, making it difficult to count turns when tuning, and late-model SUs had thin, notched discs, hard to grasp when rooting around under the carb bodies. I requested the knurled knobs, but ZTherapy declined to fit them, as they (understandably) like to keep the cores together and avoid mixing and matching parts. But then they did it anyway, a fact that really made my evening. 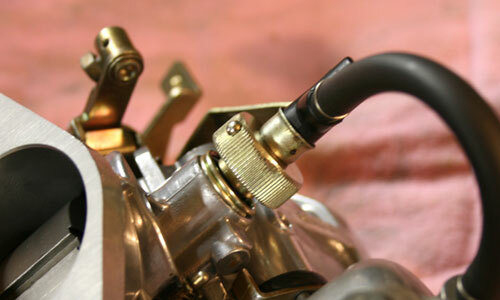 A view of the sealed (outer) end of the throttle shaft. A ball bearing resides under here. The new owner’s machining process removes much less material from the carb body, making for a much tighter fit around the throttle shaft, greatly reducing the chance the dust shields or retaining clips will work their way loose. In other Z news, the wheels have been cleaned and fitted with the BF Goodrich Radial T/As, sized 225/60-14. Pictures forthcoming. Hi Frank. Please turn off your caps lock key. Did you read the article? 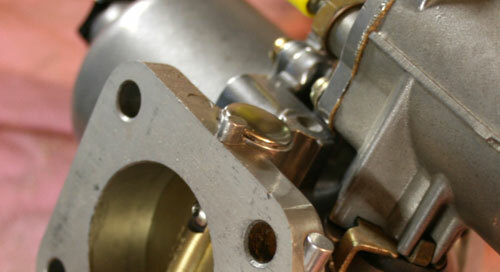 There’s a link to a SU carb rebuilding outfit that could help you. Is there a real way to set-up the float level on a 1973 Datsun 240 Z, SU carbs ?